Opposite Progress Ridge Town Square, on SW Barrows Rd., sits 14-acre Barrows Park, which runs roughly west-to-east along Summer Creek. 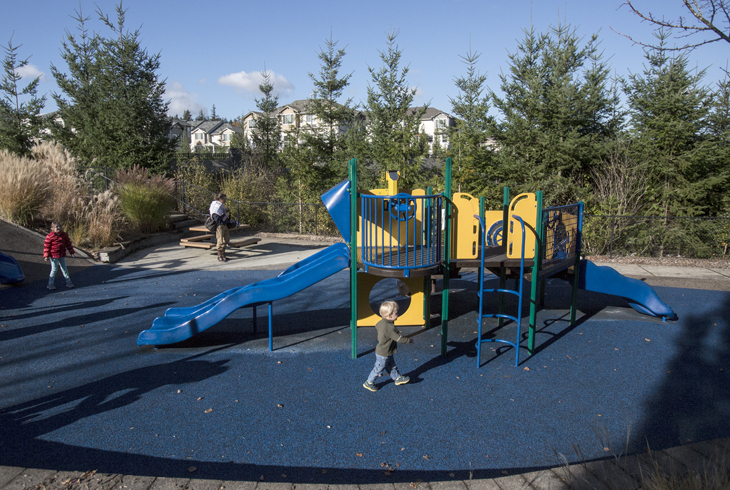 At the west end of the park, there are two playgrounds, one for younger children and one for older children. 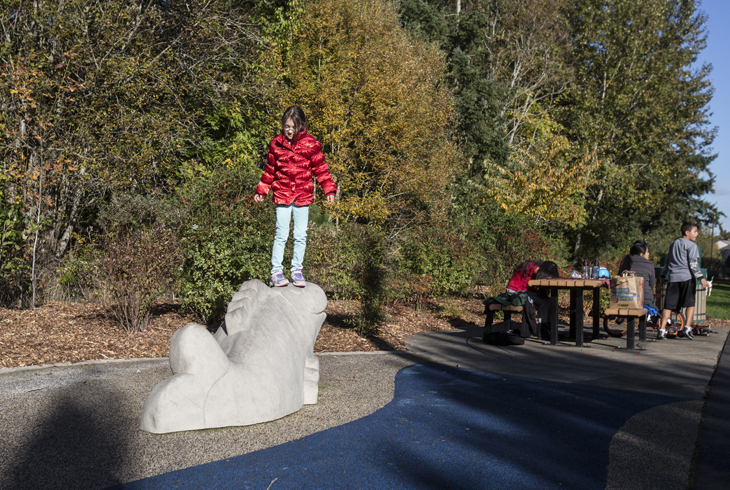 The site includes cement animal structures (whale, turtle, frog, camel) for climbing, as well as picnic benches. 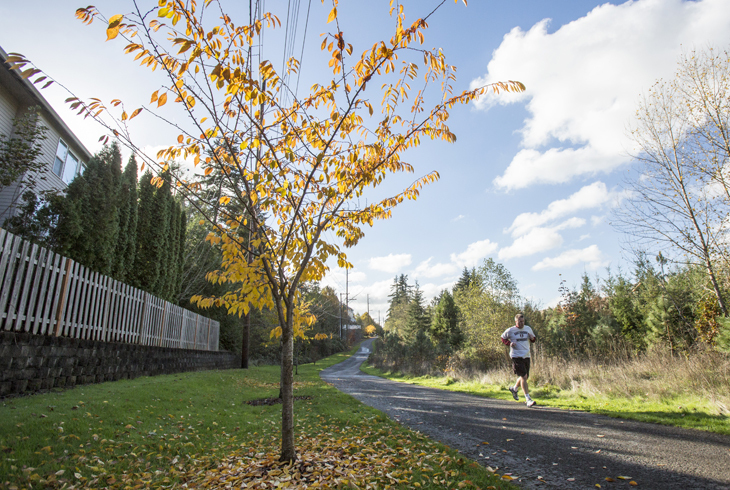 Barrows Park marks the district’s southernmost entry point to the Westside Regional Trail, which runs along a power line corridor all the way to Tualatin Hills Nature Park. 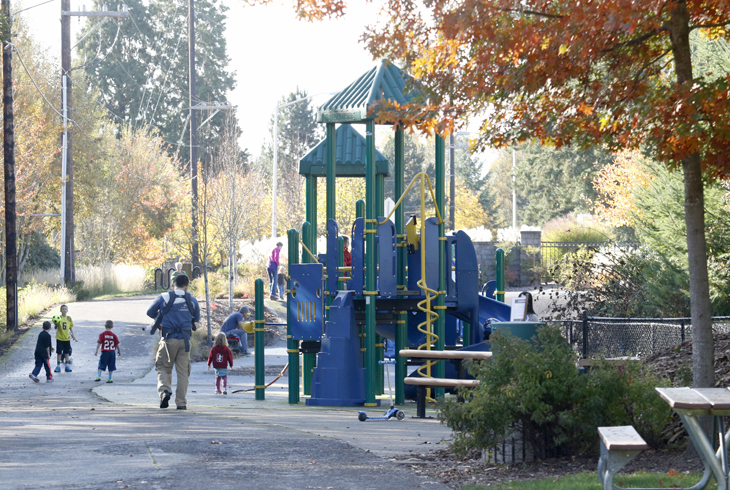 The park connects to the Westside Regional Trail on its west end. Visitors can look for wildlife in the Summer Creek greenway as they walk, run, or bike along the Westside Trail. Barrows Park is separated by two roads (SW Menlor Lane and SW Horizon Blvd. ); visitors are encouraged to use crosswalks to continue along the paved path.